Last week the column was on vacation, as the writer became a happy father those days. Today, the column returns bringing up the corresponding subject. 2001 was a great year for the Muse, as their second album, Origin Of Symmetry, was a huge success, in an artistic as well as a commercial manner. The first track from that album is this mini epic that begins sober to speed up with a lot of electricity later on. This song was originally released as part of the album Mr. Bad Guy by Mercury, in 1985. After his death, the rest of the Queen members recorded it again, keeping his voice and some elements of the original version, and included it in the album Made In Heaven that was released in 1995. The opening song from the homonym album by the American blues man Albert King that was released in 1967. It is now – correctly – considered a standard of the blues repertoire and contains some wonderful tokens of the guitar art by te late King. 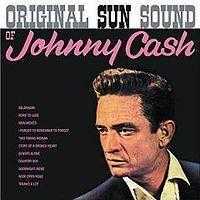 A song that was recorded at the time when Johnny Cash had a contract with Sun Records and that can now be found in the compilation Original Sun Sound Of Johnny Cash, released in 1964. It is a classic sample of what the artist sounded like back then. With his back against the wall, after the commercial failure of his first albums, Springsteen had one last chance to take the big step with this song and the homonym album in 1975. And he actually did more than well, as we all know today. The third single by the Canadians Steppenwolf, from their debut album, was meant to place them once and for all in the hearts of rock fans all over the world. 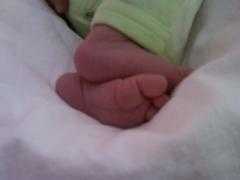 Born To Be Wild is one of the classic rock hymns, while his lyrics refer to “heavy metal” for the very first time. In 1969 it also became a trademark song for bike riders, when it was included in the soundtrack of the film Easy Rider, by Dennis Hopper. 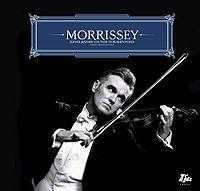 The album Ringleader Of The Tormentors (2006) closes with a note of optimism with this almost marching song. A children choir, a piano and Morrissey singing: “I once was a mess of guilt because of the flesh/ It’s remarkable what you can learn”. A selection from the album Live (its 2004 second edition, to be more accurate) that has been the swan song by the British band. Recorded during a concert in Broadway, Born Late ’58 is a rock song with a lot of electricity and energy and beautiful solo parts. Employment (2005), the debut of Ricky Wilson's gang, has been really successful and turned the band into a favorite of the music press and fans. This song is one of their less popular ones but contains all of their sound's comprising elements. This song, while it was recorded during the sessions for the homonym album by the Australians The Triffids, it was not included in it after all. 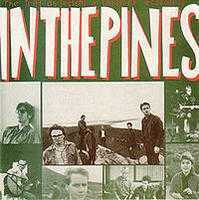 It was finally released along with the next one, In The Pines, which was released later the same year (1986).